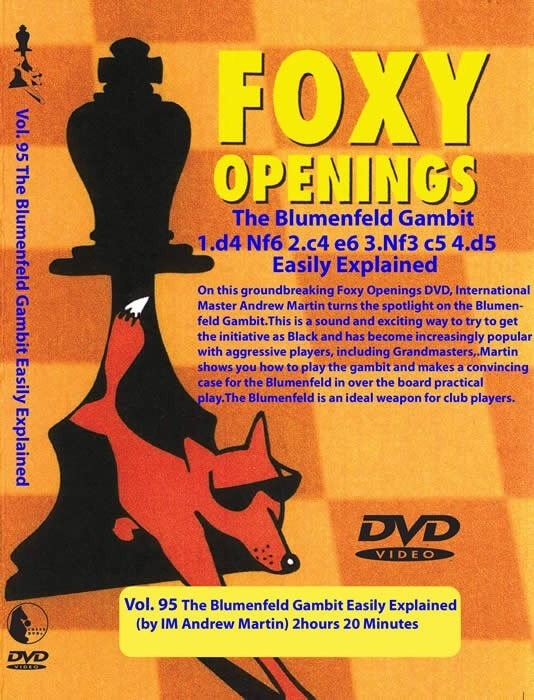 On this groundbreaking Foxy Openings DVD, International Master Andrew Martin turns the spotlight on the under-appreciated Blumenfeld Gambit - 1. d4 Nf6 2. c4 e6 3. Nf3 c5 4. d5 b5!? This is a sound and exciting way to try to get the initiative as Black and has become increasingly popular with aggressive players, including a number of the world's leading Grandmasters. Martin shows you how to play the gambit and makes a convincing case for the Blumenfeld in over the board practical play.